Cardiff, the capital city of Wales is one of the best centers for British theaters and music scenes. The Cardiff Theater includes the newly opened Wales Millennium Centre on Cardiff Bay waterfront- the most exciting place for art lovers round the world. It is one of the lively places in Cardiff with international musicals, opera, ballet and dance. This theater at Cardiff is also home to seven diverse and exciting cultural organizations, which include the Welsh National Opera and BBC National Welsh Chorus Orchestra. The Centre is served with a main theatre - Donald Gordon Theater, the Western Studio and a range of places to eat, drink, relax and watch free entertainment. The city is also home to a couple of theater companies that hosts performances round the year. This includes Bwci Bo - Theatre Company, Telstars, Concept Players and Cinel Gabran Management. Bwci Bo is a Women's theatre in Cardiff, Wales. The theater was established in 2002 to look into issues faced by the women - today and through the ages. This Cardiff theatre conducts plays on Women who have made important contribution to the history of Wales. Its best performances include The One Way, and a play on Catrin Gyndwr, daughter of Owain Gyndwr. 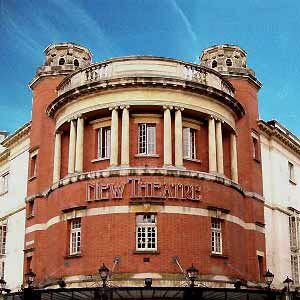 Telstars is one of the oldest and award winning theatres in Cardiff. It was started as early as sixties and is still running strong with more number of plays every year. The New Theater Cardiff is one of the oldest surviving theatres in the city. The theater is home to quality mixture of drama, musicals, opera, dance, children's shows and pantomime round the year. The theatre was refurbished recently and boasts a traditional Edwardian setting with beautiful night-lights. The theatre was host to some of Wales' most prestigious theatre companies, which include Diversions and Clwyd Theatr Cymru. In addition, the New Theatre Cardiff also enjoys regular visits from The Royal National Theatre, The Royal Shakespeare Company and Northern Ballet Theatre.